Epic circle island journey w/ Lava Tube, Black Sand Beach, and more! 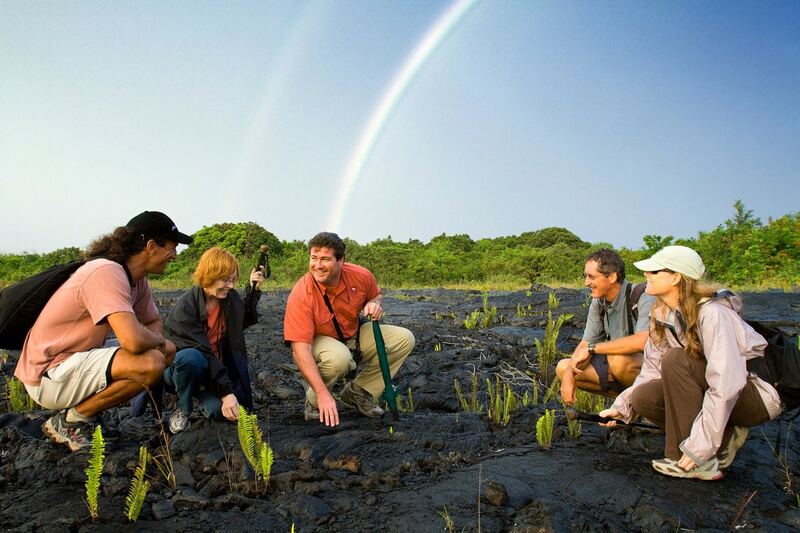 A Circle Island Tour + Volcanoes tour by Hawaii Forest and Trail. Back to all tours. 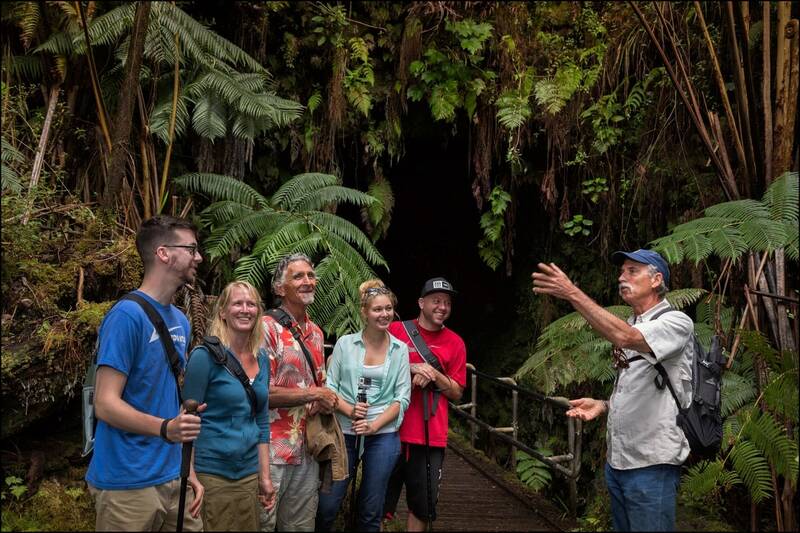 Tour Summary: Full day small group circle-island adventure featuring many of the Big Island's must-see sights and natural landmarks with a certified naturalist guide. Explore an active volcano, visit a local coffee farm, experience a private cave system, and look for for sea turtles on a black-sand beach. 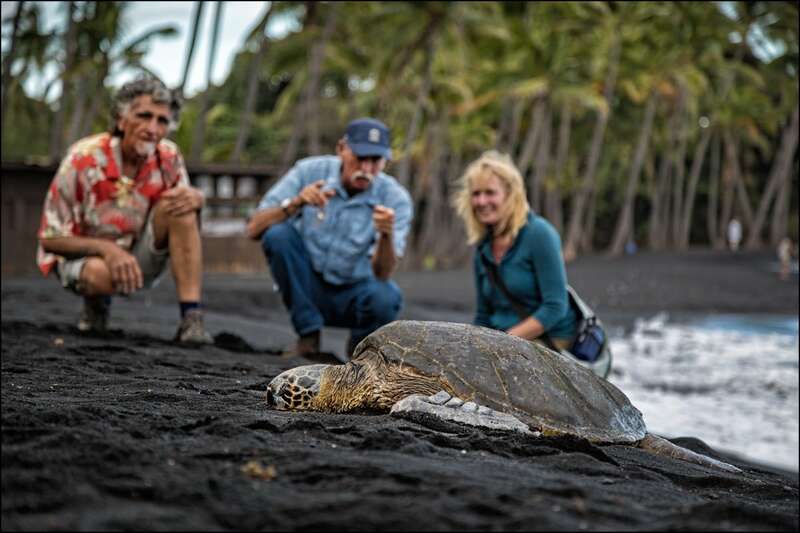 Search for sea turtles as you stroll the black sands of Punaluu. 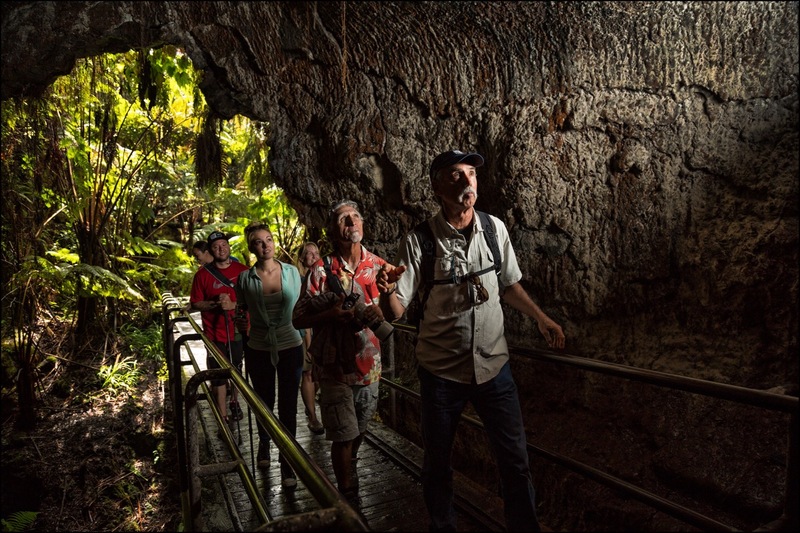 Explore a private cave system and learn how lava tubes are formed. 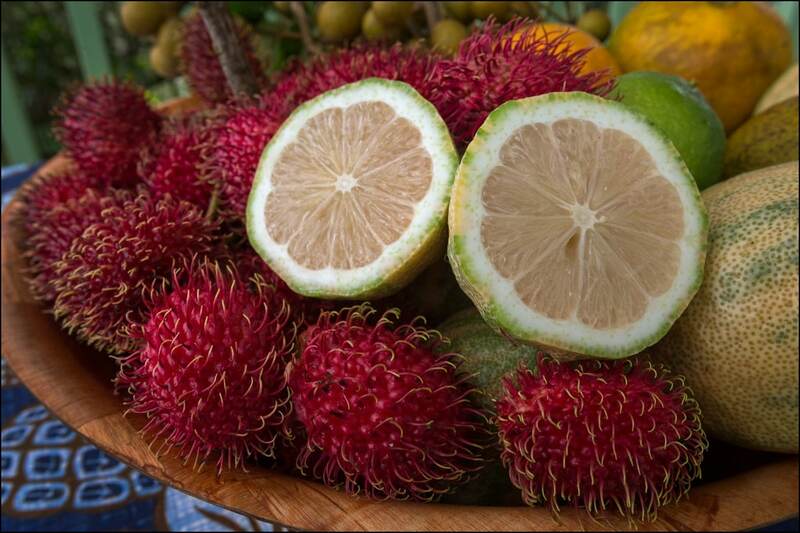 Explore a 1,000 acre Tropical fruit farm and see Rainbow Falls from a private viewing deck. Important: The minimum age to participate in this tour is 8 years. Participants should be able to walk on uneven or rocky terrain as this tour involves short walks from 0.5 mile to 1 mile in length. Wear closed-toed shoes and wear/bring long pants and a light jacket as it can be chilly, wet and foggy. Pick-up available? Yes! 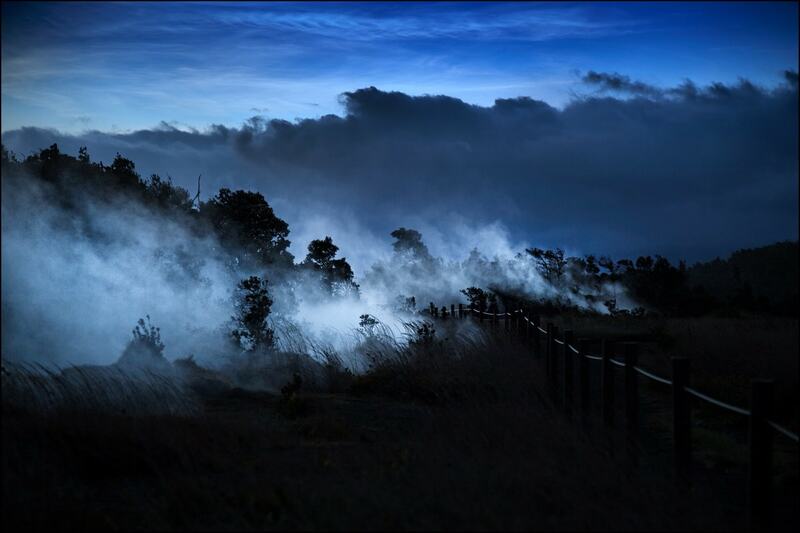 From several locations between the Hawaii Forest & Trail headquarters in Kona and the Waikoloa resorts. More details available during the booking process during the "Where are you staying" step. Included: Over $30 per person in entry fees, savory island breakfast, lunch, afternoon snack, souvenir Kona coffee mug, beverages, and use of daypacks, walking staffs, rain gear, and warm wear. Cancellations: Customers will receive a full refund with 48 hours notice of cancellation. Private tours: Customers will receive a full refund with 72 hours notice of cancellation. Cancellations within the cancellation period and “no-shows” will be charged the FULL AMOUNT of the tour. A certified naturalist guide talks story and teaches you about the places you visit in a great blend of history and culture. The tour starts and ends from the Kona headquarters of Hawaii Forest & Trail, but pickup (and drop off) from select hotels is possible with prior arrangements. 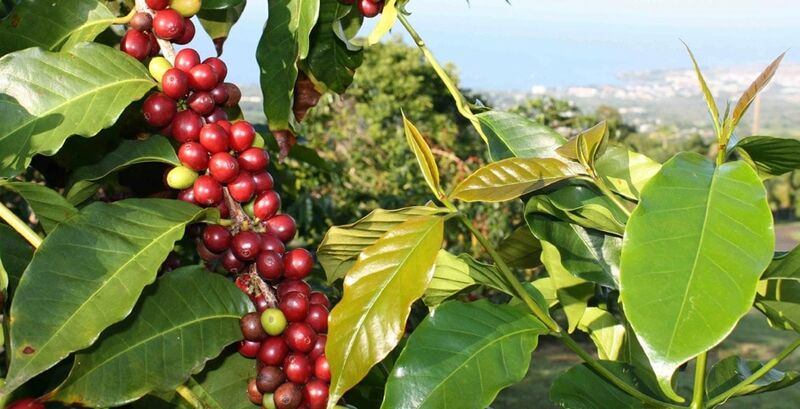 The day starts with a provided breakfast and a tour of a Kona Coffee farm + mill, after which you will visit a lava tube where you learn how lava tubes are formed. The next stop is at the famous Punalu’u black sand beach where you will look for sea turtles and take in the views before driving up to the Hawaii Volcanoes National Park. Here you’ll hike an active volcano (note: Guests on this tour should not be physically challenged or unable to walk short distances of 0.5 to 1 mile on uneven terrain) and explore many of the impressive marks left on the landscape by the many recent eruptions. 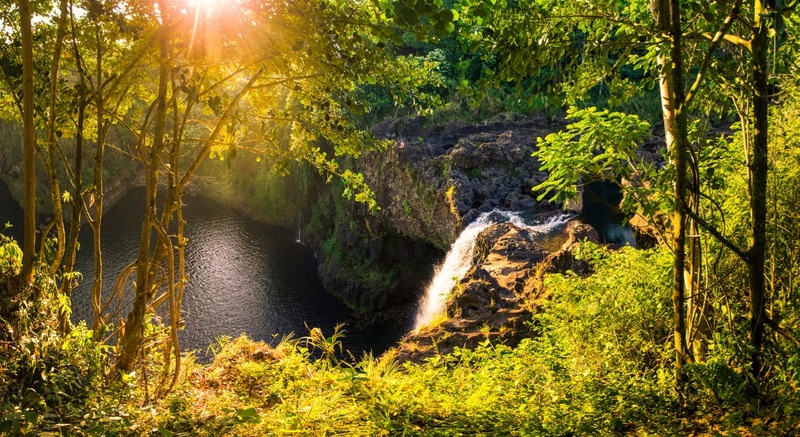 Before the day is over you also visit a 1,000 acre tropical fruit farm and get to see the Rainbow Falls in Hilo from a private viewing deck.The tour ends either at your original departure point or with a drop-off at select hotels. 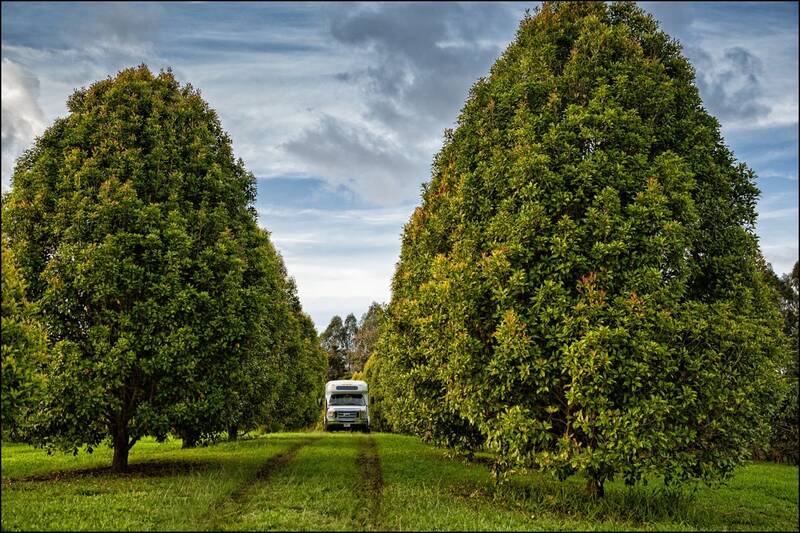 Hawaii Forest & Trail is a highly respected local tour company that has operated on the Big Island since 1993. They have gained access to private and restricted lands and are widely recognized as a tour company that has passionate and knowledgeable interpretative guides, all of which translates into consistent stellar reviews from their past guests. 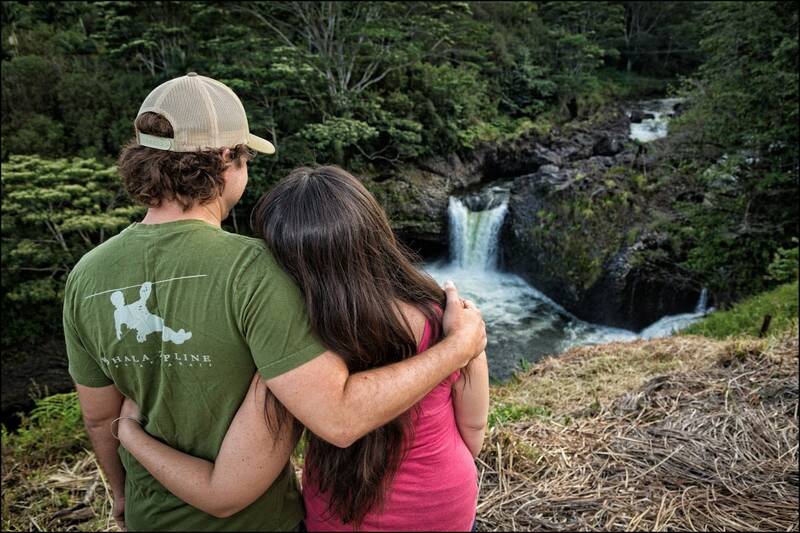 Hawaii Forest & Trail is fully certified by the Hawaii Ecotourism Association. This means that their tours are eco-friendly, culturally educational and operate as sustainable as possible. The HFT staff are picked to have strong academic backgrounds in biology, geology, Hawaiian culture and history, and extensive natural history field experience. 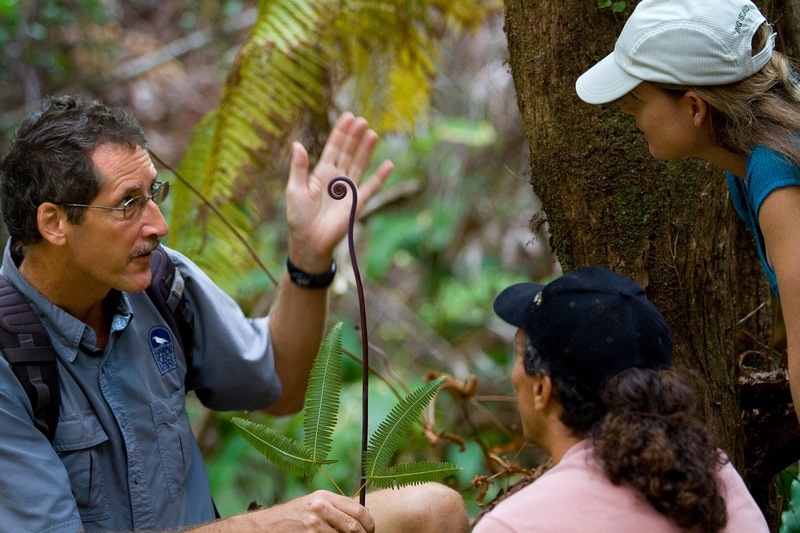 It’s not enough for the guides to simply “know things”, they must also have a real passion for Hawaii’s natural world and enthusiasm for sharing it. benefits the conservation of Hawaii’s native ecosystems, species and landscapes. promulgates the understanding and practise of Hawaiian culture and the dissemination and understanding of Hawaii’s natural and cultural history. promotes and facilitates an appreciation and interaction with nature, especially programs that are youth oriented. It is the intent of the fund to give preference to entities who are based or whose work is performed in the communities where they operate tours. We are affiliate partners with Hawaii Forest and Trail meaning that we receive a percentage for each successful booking made through our website. This happens without any additional charge to you! (read more on the use of those links on our website here). By booking tours through our website you support LoveBigIsland.com and help us to provide you and future visitors with free and high quality information about the Big Island. Thanks, you guys are amazing!